Researchers have discovered a new way to make hair grow: by activating stem cells in hair follicles. The study, from UCLA scientists Heather Christofk and William Lowry, may lead to new drugs that could promote hair growth for people with baldness or alopecia (which is hair loss associated with such factors as hormonal imbalance, stress, aging or chemotherapy treatment). The research was published in the journal Nature Cell Biology. Hair follicle stem cells are long-lived cells in the hair follicle; they are present in the skin and produce hair throughout a person’s lifetime. 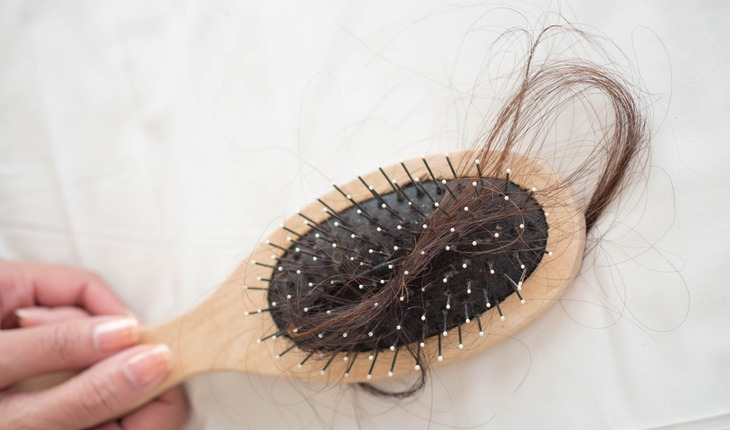 They are “quiescent,” meaning they are normally inactive, but they quickly activate during a new hair cycle, which is when new hair growth occurs. The quiescence of hair follicle stem cells is regulated by many factors. In certain cases they fail to activate, which is what causes hair loss. In this study, Christofk and Lowry, of Eli and Edythe Broad Center of Regenerative Medicine and Stem Cell Research at UCLA, found that hair follicle stem cell metabolism is different from other cells of the skin. Cellular metabolism involves the breakdown of the nutrients needed for cells to divide, make energy and respond to their environment. The process of metabolism uses enzymes that alter these nutrients to produce “metabolites.” As hair follicle stem cells consume the nutrient glucose — a form of sugar — from the bloodstream, they process the glucose to eventually produce a metabolite called pyruvate. The cells then can either send pyruvate to their mitochondria — the part of the cell that creates energy — or can convert pyruvate into another metabolite called lactate. “Our observations about hair follicle stem cell metabolism prompted us to examine whether genetically diminishing the entry of pyruvate into the mitochondria would force hair follicle stem cells to make more lactate, and if that would activate the cells and grow hair more quickly,” said Christofk, an associate professor of biological chemistry and molecular and medical pharmacology. The team identified two drugs that, when applied to the skin of mice, influenced hair follicle stem cells in distinct ways to promote lactate production. The experimental drugs were used in preclinical tests only and have not been tested in humans or approved by the Food and Drug Administration as safe and effective for use in humans.